Speedtest.net is still the popular tool widely-used by internet users in the globe. The tool became popular because it’s available on many platforms. You can install and use Speedtest.net on Windows, Mac, Android and iPhone. Linux users who want to use Speedtest.net can take advantage of the web version of Speedtest.net. Speedtest.net works by measuring your bandwidth and the internet connection latency against its servers. Speedtest.net servers are spread in several countries. Speedtest.net will select the nearest server location to measure your internet speed. By the way, Speedtest.net is not the only tool you can use to figure out your internet speed. There are other tools you an use as well. In some countries, developing countries in particular, internet speed is still a big enough issue. 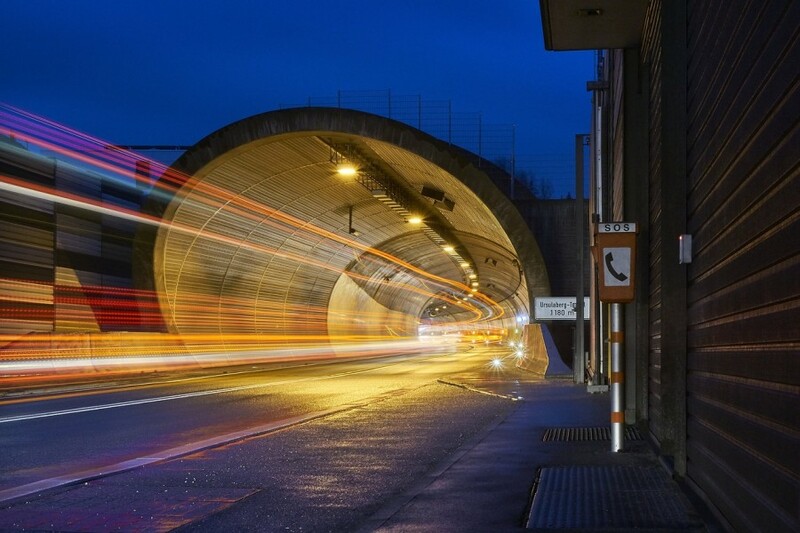 People living in the developing countries are used to testing their internet speed to ensure they can work seamlessly. So, if you want to check your internet speed, here are how. 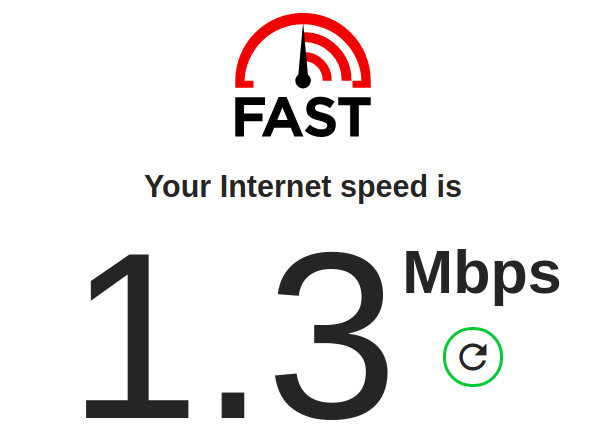 Fast.com is the internet speed tester developed by Netflix. So, it would be a perfect tool if you are a Netflix user. You can use it to ensure your internet connection is decent enough to watch movies on Netflix. Fast.com only gauge the download speed. It will not give your other reports like ping, latency, jitter and other things. To calculate the download speed, Fast.com performs a series of downloads from Netflix servers. To use this tool, just visit its website. Once the Fast.com web page is open, it will start working right away. You don’t need to do anything. You will get the download speed report after seconds. There is a redo button if you want to retest your internet speed. Here it is. As I said, Speedtest.com is a popular internet speed tester widely-used by the global users of internet. It is available for multiple platforms, but I am going to use the web version of Speedtest.com in this demo. There are three reports provided by Speedtest.net, the ping result, download speed and upload speed as well. The measurement is done between the server of your ISP and the nearest Speedtest server. To use this tool (via web), visit its website and click the GO button. Wait a moment until Speedtest.net is done measuring and you will get the reports. 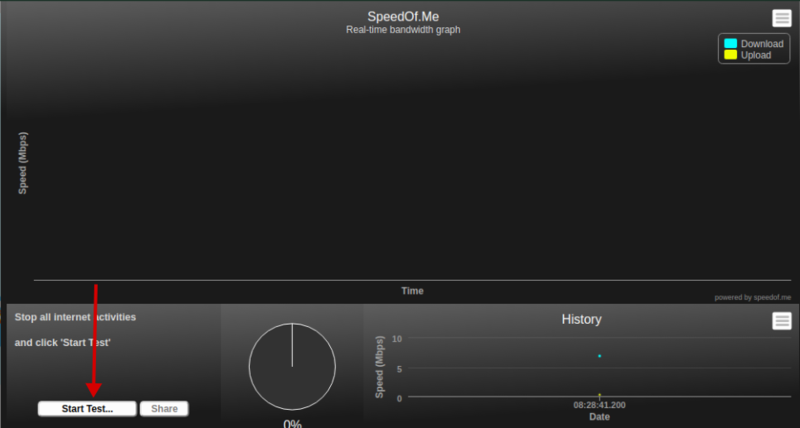 SpeedOf.Me is an internet tester designed to measure the broadband speed. So, it would be a perfect tool to test the internet speed of the mobile network operator you use on your smartphone. Nevertheless, you can also use it to test the internet speed on your desktop. To use SpeedOf.me, visit its website. There is a Start Test button at the lower of the SpeedOf.me page. Simply click on it to start testing. This tool provides you reports about the internet connection latency, download speed and also upload speed. Bandwidth Place is another nice tool you can use to test your internet speed. It is a HTML5-based tool. You can use this tool from your web browser without needing to install any other app. This tool will give you three reports regarding your internet service, download speed, upload speed and the ping response. To use use this tool, visit its website and click the Start button inside the speedometer. Once again, Speedtest.net is a popular tool widely-used by internet users to check their internet speed. The tool is available for Windows, macOS, web, Android and iOS. There is no Linux version is offered. Nevertheless, it doesn’t mean that Linux users unable to use Speedtest.net. There is an unofficial Linux app developed by a nice guy named Matt Martz. speedtest-cli is command line-based tool written in Python. 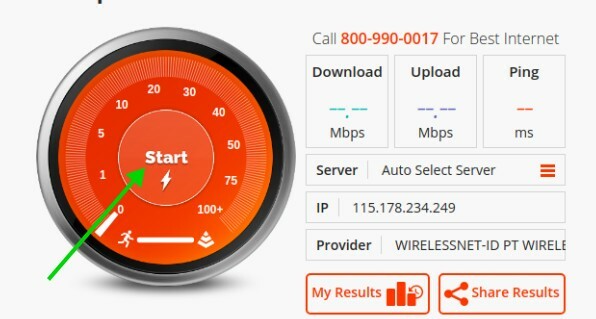 This tool provides information about the download and upload speed of your ISP. By default, it uses the nearest Speedtest.net server, but you can also set a custom server location. We have covered how to use this tool in this article. So, please visit the page to find out how to use speedtest-cli on Linux. I get 3-4 Mbps at best. Feels bad man.